Waterproof deck coating is an important component of your deck. A lot can take place around your home and therefore you want to ensure the strength of your deck is in place. A coating can help your decking to hold up against nature for a longer period of time. It is important to know just how durable the coating is and how to look for one that is going to work effectively. What is a Construction Coat? A construction coat is defined as a heavy duty layer of protection between the wood decking and the environmental elements. This is a coating that is going to hold up against more than what the standard waterproof deck coating available on the market, such as the DIY coatings that you can find at the hardware store. A construction coat is going to ensure that the coating is holding up against any and all work that is being done by construction workers. There may be a lot of equipment, chemicals, and more taking place and it would be horrible to learn that your waterproof deck coating was not strong enough, after the fact. It does not take long to look through the list of features so you can be sure to get a high quality coating for your decking the first time around, and at a price that you can afford. There are a lot of technical details that you should look for when obtaining waterproof decking. Whether it is for a walking deck, a plywood balcony, or a roof deck, it is important to have the necessary coating so that is capable of last thing a significant amount of time. 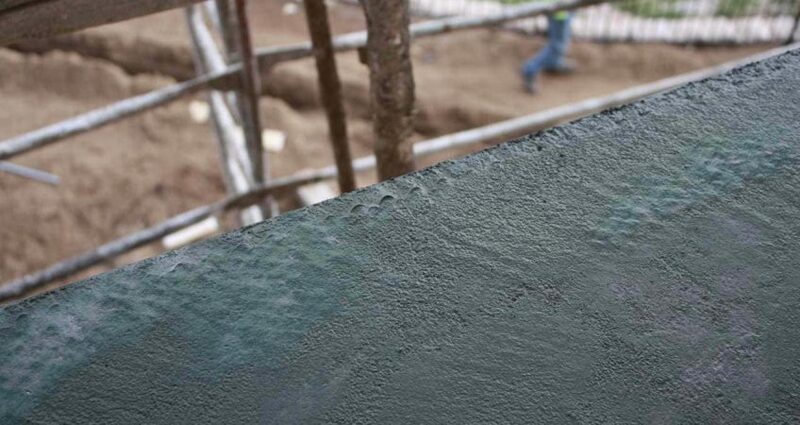 Further, many deck coatings are vulnerable to the different trades throughout the course of construction. Sparks could cause a fire, there may be pressure washing that could strip away the coating, and there may even be enough abrasion that the plywood of the deck could suffer dramatically. However, with a waterproof deck coating that is durable enough to work as a construction coat, you have less to worry about. Spread of Flame: If there is a fire, you want to keep it under control. A Class “A” coating should be obtained. Minimum PSI: The tensile strength is critical because there is going to be a lot going on. Whether you plan on adding a hot tub to the surface or simply a lot of foot traffic, you want a psi of 1200 or higher, and this is after the coating has had the chance to weather. Impact Test: is also important to look at the overall impact test score. No cracking should have been found, which will ensure that your coating is as strong as it needs to be. Water Transmission: Finally, you have to look at the water transmission test, which essentially means how much water was able to get into the wood over a 24-hour period. You should be looking for less than 1 g so as not to cause any kind of rot. Once you have found a coating that is capable of holding up against all of the elements, you can choose a color that is going to work best for you. This will ensure your decking has the aesthetics that you desire, while enjoying peace of mind that it will be as durable as you need it to be. For more information on waterproof decking coatings, contact Pli-Dek Systems today.